It looks like a duel… It is beautiful but a nightmare to photograph. These two water jets are fighting each other, making a pattern when the water conflicts. It is never the same, depending on the weather, the wind, and the light. 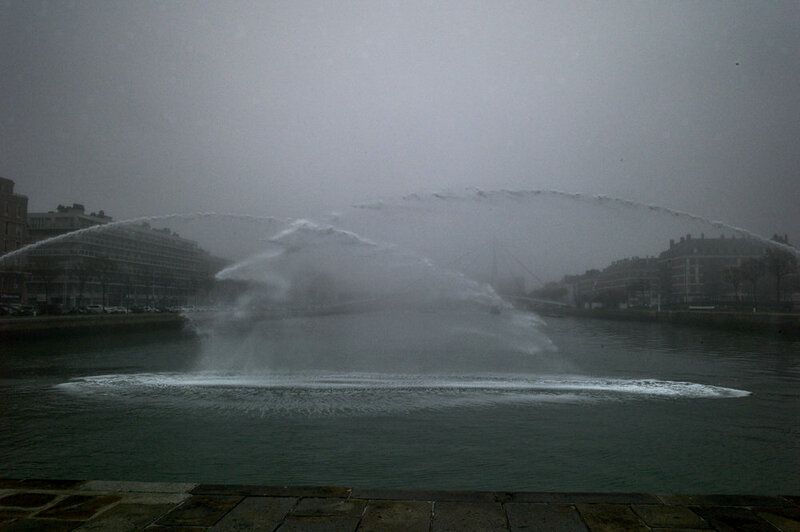 It was even more crazy on a foggy day, because you could not see the fall of the water . I had to heavily increase the contrast so as to make the pattern visible. I kind of like this weird atmosphere. I don’t think you could ever see it like that with your eyes. Post production made it happen. One of the beauties of digital treatment.